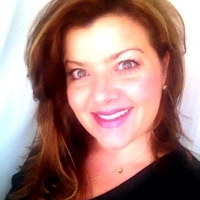 The subject of dirty makeup brushes—and the damage they can do—is a perennial topic here at My Brush Betty. Normally, that includes the everyday perils of dirty makeup brushes, such as breakouts and muddy makeup application, but our coverage has also included a young mother paralyzed and countless infections, which require medication to treat. 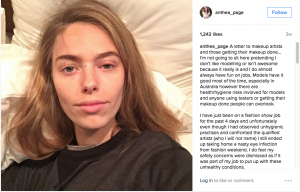 Australian model Anthea Page gets eye infection requiring medication from a dirty makeup brush. News follows other cases of dirty makeup brushes causing breakouts and infections, including the story of an Australian mother who was paralyzed by a dirty makeup brush. 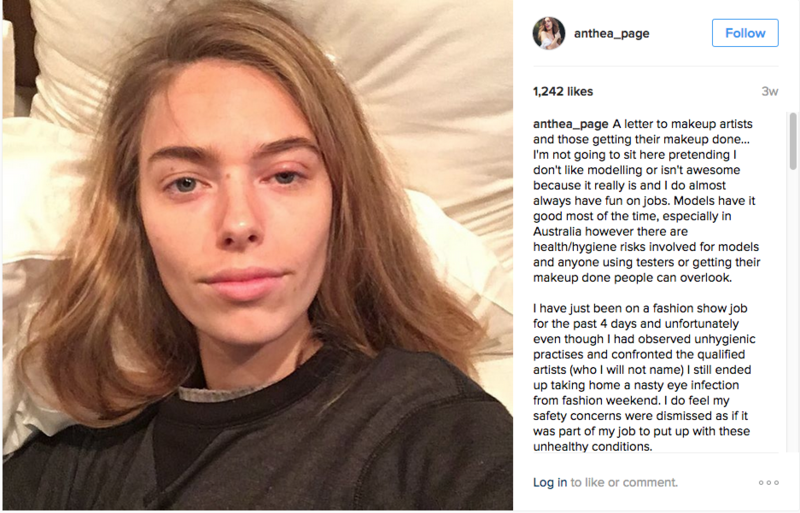 Today, we bring you the story of Australian model Anthea_page, who wrote on Instagram about her eye infection, for which she is now taking medication, caused by a dirty makeup brushes. We’re glad that Anthea’s story is getting such broad coverage, as seen in the links below because My Brush Betty feels strongly that the beauty industry has failed (F-) to bring a quick and easy method of brush-cleaning to market. We find all the methods difficult, time-consuming and deficient in the final cleanliness result.At My Brush Betty, we continue to work to bring the My Brush Betty makeup brush cleaning kit to market that allows multiple brushes to be cleaned in minutes—and truly cleans them thoroughly. How much do women hate cleaning brushes? We started a thread on it … Feel free to add your comments.